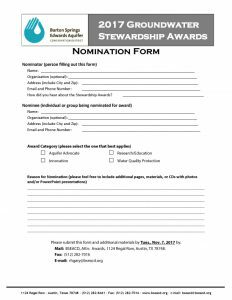 Aquifer Advocate – Honors efforts to inform and improve policy, collaborate and coordinate community-scale solutions to water resource challenges, and/or involve and educate individuals, neighborhoods, school groups, and professional contacts about water-related issues. Water Quality Protection – Honors efforts that focus on water quality issues such as water monitoring, sampling and testing, pollution prevention (such as creek cleanups), and land use practices to reduce non-point source pollution. Research and Education – Honors efforts that lead to improved understanding or advanced practices in areas such as groundwater, hydrogeology, water treatment, alternative water supplies, well drilling, or structural and non-structural best management practices to reduce non-point source pollution. 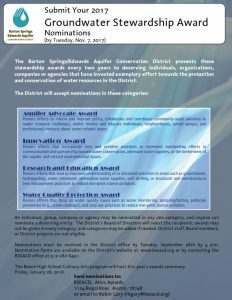 Innovation – Honors efforts that incorporate new and creative practices or represent outstanding efforts in communication and partnership toward the betterment of the aquifer and related environmental issues. 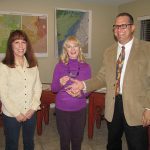 Permittee of the Year – Honors a District permittee who is an exemplary steward of the Barton Springs segment of the Edwards Aquifer. 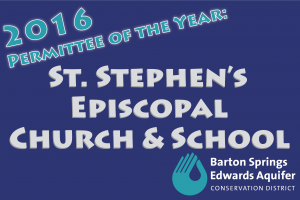 The permittee of the year will have demonstrated a continued commitment to education, water quality protection, and water conservation. The District will nominate and choose the winner of this award. An individual, group, company or agency may be nominated in any one category, and anyone can nominate a deserving entity. 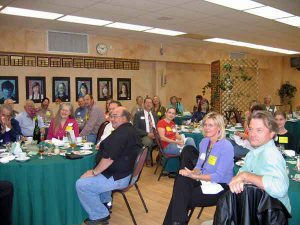 The District’s Board of Directors will select the recipients; awards may not be given every year in every category, and categories may be added if needed. Download the nomination form and submit it online today! Congratulations to the 2016 Permittee of the Year! Congratulations to the 2015 Groundwater Stewarship Award Winners! 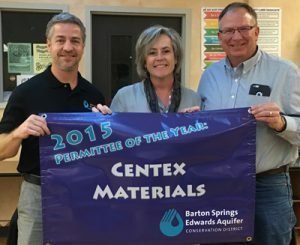 Centex Materials’ staff and leadership have consistently participated in the District’s planning process, regularly supported education and outreach efforts, and last year installed a innovative recycling facility that streamlines operations and substantially increases water efficiency. Jack Hollon worked persistently and passionately throughout his life to conserve land and water in the Wimberley Valley and across the Texas Hill Country. He founded and supported many programs that integrated aquifer science, management, surface water quality protection, land conservation, environmental education, and public policy development. He brought people together, celebrated beauty, and helped find effective ways to protect it. He will be missed. Bill Johnson has been a long-time supporter, participant, and advocate of groundwater science across many agencies. 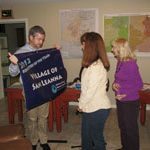 He has facilitated dye traces to better understand groundwater flowpaths, hydrologic studies along the Blanco to understand surface water and groundwater interactions, and weather studies to understand potential recharge and runoff. He helped lead the community discussion and support of groundwater protection in a previously unregulated portion of Hays County. The City of Sunset Valley has consistently made land use and policy decisions to limit development over the recharge zone and protect wells, provided and supported environmental education programs, involved its citizens in solutions-oriented behavior, and managed city-owned preserves and trails to benefit water quality. Zara Environmental developed a method to bait and trap subterranean animals in wells. Over a period of 5 1/2 years and 214 sampling events, Zara biologists captured a Barton Springs salamander in a southern Travis County Edwards Aquifer well. Zara Environmental develops innovative research methods to sample non-traditional habitats. The Watershed Detectives Program actively involves middle school students in groundwater education, environmental science, and best management practices. The City of Austin Watershed Protection Department has successfully created an engaging program for middle school that teaches the importance of environmental stewardship at a local scale. The Hill Country Studio addressed regional challenges the Hill Country faces in the near future. Through a comprehensive report, the research team tactfully documented stresses, identified beneficial regional-scale management strategies, and proposed solutions. The report has fuelled informed discussions by bipartisan groups throughout the Hill Country. 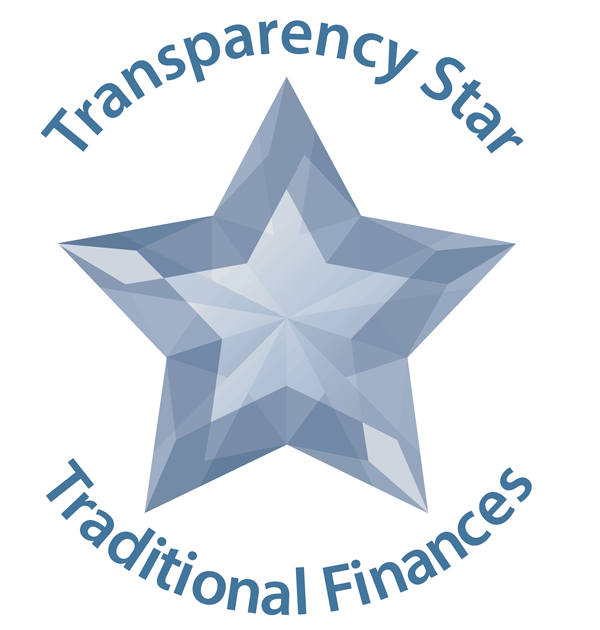 Nominations were made by members of the public and District staff, and the nominees were evaluated and winners selected by the Board of Directors. 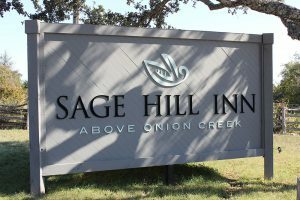 Congratulations to the 2014 Permittee of the Year: Sage Hill Inn Above Onion Creek! Cimarron Park has been diligent in developing effective and creative demand management measures incorporated in their Drought plan, implementing and enforcing those measures to ensure compliance with pumpage limits during drought and communicating drought information and regulatory information to its end-users. As a result, Cimarron Park has a perfect compliance history throughout the current 2013 drought. Cimarron Park has effectively adapted to District drought curtailments and served as a model for District/Permittee cooperation with aquifer management, groundwater preservation, and other issues of mutual interest. Halley Ortiz and her husband, Thomas, practice and share their experiences from striving to live a sustainable lifestyle in Central Texas. They’ve set up a vigorous square-foot gardening system to help feed the family and wrote about the healthier and less expensive results. Their native landscaping and rainwater harvesting efforts allow the family to use far less water than that required by their water system in the depths of the drought. Halley is outspoken about the need to conserve our valuable water resources as individuals and as a community. Jill Harding is a long-time science teacher at Bowie High School and is the Science Department Chair and a past Faculty Sponsor for the Science Club. This summer she helped coordinate restoration efforts at Bowie’s cave and physically helped with excavation to make it a safer and more feasible educational venue. Her passion, teaching abilities, and thoughtfulness have inspired many students to seek careers in the sciences. Dr. Corinne Wong, graduate student Jenna Kromann, and Dr. Jay Banner conducted a significant study of the hydraulic connection between the Edwards and Middle Trinity Aquifers. Using geochemical data for these aquifers and an intervening aquitard (Upper Trinity), they confirmed earlier studies that there is minimal potential for flow between the Edwards and Middle Trinity Aquifers. This is important for determining if the Middle Trinity Aquifer can be managed separately from the Edwards Aquifer. 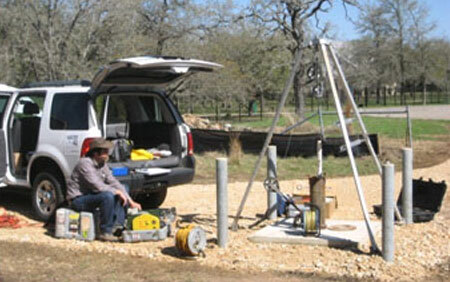 Results were published in an article titled, “Investigating Groundwater Flow Between Edwards and Trinity Aquifers in Central Texas” in the peer-reviewed journal, Groundwater. 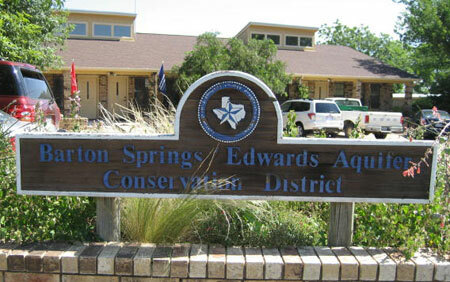 The Shield Ranch is located within the Contributing Zone of the Barton Springs segment of the Edwards Aquifer. They have done an excellent job of managing their 6,000 acre ranch with obvious benefits to runoff quality and quantity. They have a very low stocking rate of cattle with rotation, they have an active ecological stewardship program, they work to restore the fundamental components of a healthy ecosystem on the land, work to protect riparian communities, work to protect endangered species, and almost all of their acres are covered by a conservation easement with the City of Austin (WQPL) or the Nature Conservancy of Texas. The Shield Ranch demonstrates a commitment to managing the land as highly responsible stewards. Joe Vickers of the Wellspec Company has demonstrated a continued commitment and dedication to protecting the Barton Springs segment of the Edwards Aquifer through incorporating innovative practices and research that have greatly improved the overall understanding of the hydrogeology and well construction in the District. Mr. Vickers is always quick to offer his expertise. He has been actively engaged in District stakeholder groups and committees, and his input has been invaluable to District. As a consultant, the quality of his work is exemplary, as is his overall knowledge and communication skills. 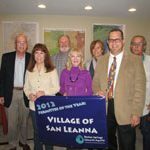 The Village of San Leanna has proven to be a model permittee in many ways and the staff of the BSEACD seeks to recognize and commend its efforts by awarding the Village the 2012 “Permittee of the Year” Award. 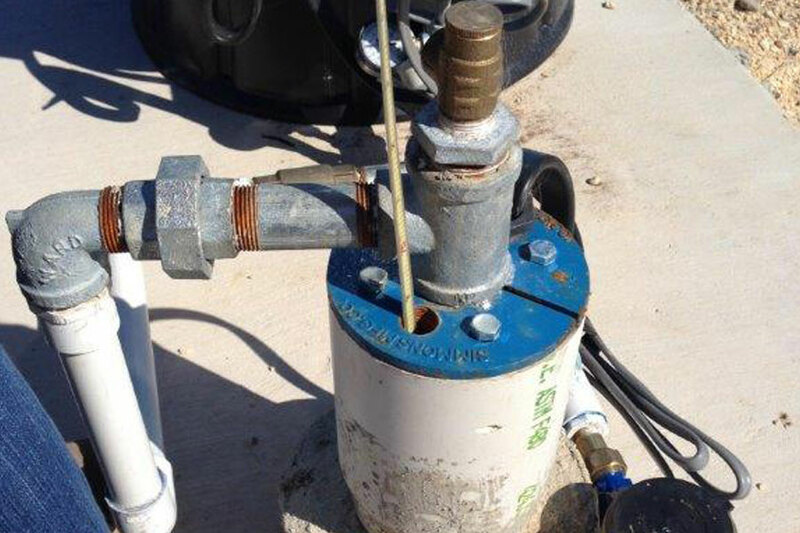 This homeowner was nominated by a representative of his water utility, Cimarron Park Water Company, Inc., for exceptionally low monthly water use and no well on the property. This homeowner has been responsibly using water for years with no formal recognition. Native landscaping creates a beautiful wilderness feel. General Manager David Woods and Superintendent Michael Moore have found the balance between maintaining an attractive, playable golf course and environmental stewardship. They have maximized water efficiency by installing a state-of-the-art irrigation system that adapts to conditions on the (and of the) ground and have minimized total irrigated acreage by setting aside land for native bird habitat (certified with Sanctuary Status for the Audubon International Society). 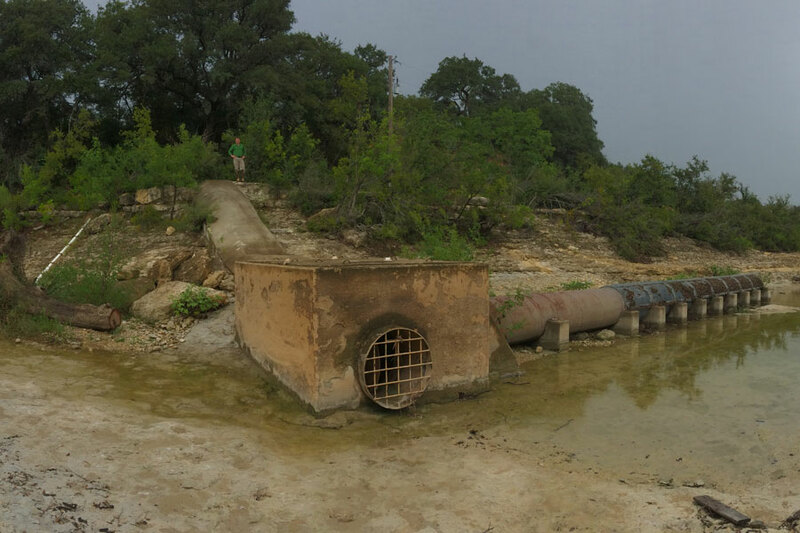 The City of Austin Water Quality Protection Lands (WQPL) Program protects approximately 21.7% (over 26,500 acres) of the Barton Springs segment of the Edwards Aquifer Recharge Zone. The WQPL Program manages lands to enhance native habitat and quality of water recharging the aquifer, works with surrounding landowners to increase awareness and protection of the lands, and engages volunteers to involve the public and extend City of Austin resources. About two years ago, Pat Reynolds manufactured a well sounder (aka eline) to monitor water levels in his well and those of his neighbors. He has continued to measure levels and report those data to the District helping staff hydrogeologists better understand aquifer conditions. He has provided a parts list, wiring schematic, and pictures of his well sounder to allow others to build a similar system. This innovation directly benefits well owners in the District by offering a low-cost solution to water level monitoring. District staff plan to build several to loan to neighborhood groups. 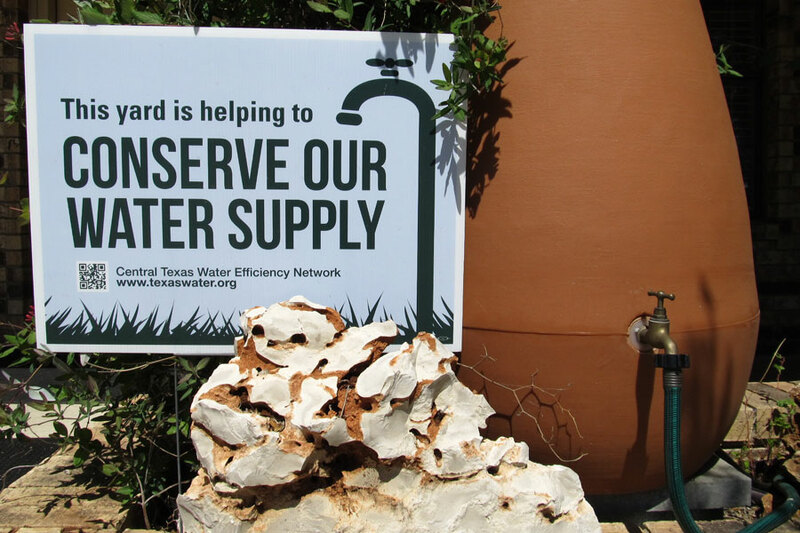 Through its Central Texas Water Conservation Project, the Clean Water Fund has visited over 41,000 households, engaged neighborhood and community groups, and distributed over 50,000 educational pieces on the benefits and methods of water conservation. By promoting a ‘culture of water conservation,’ the Clean Water Fund has played a major role in protecting Central Texas water resources—groundwater supplies in the District, in particular. 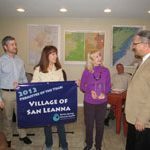 Their door-to-door canvassing project in the District substantially increased drought awareness and provided conservation practices to a set of groundwater users that otherwise might not get such information. As volunteers for the Texas Cave Management Association (TCMA) and the UT Grotto, Matt Turner and Heather TuÄ�ek have made outstanding contributions towards aquifer education through their cave immersion education. Matt Turner, current volunteer manager for TCMA’s Whirlpool Cave Preserve, guides cave trips and coordinates exploration, education, and research access to the cave. Heather TuÄ�ek also assists in dye traces and karst preserve patrols. Their efforts help build public support to protect water quality and the rare species in the Edwards Aquifer. This hydrogeologic atlas synthesizes the work of three groundwater conservation districts, numerous volunteers, agencies, and foundations. 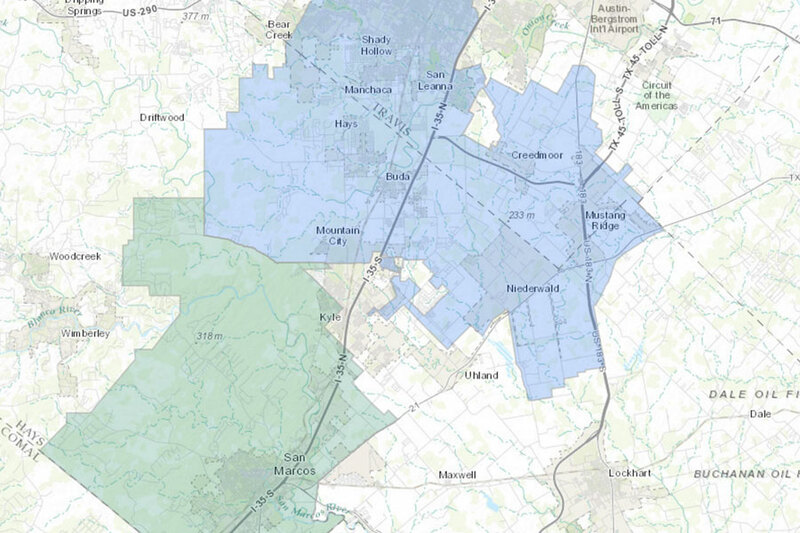 The atlas serves as an excellent reference for geoscientists, citizens, and governmental agencies to make informed decisions about the Trinity Aquifer in Central Texas. The Hydrogeologic Atlas of the Hill Country Trinity Aquifer and Doug Wierman’s efforts greatly increase awareness and knowledge of groundwater resources in Central Texas. Mike Passarello’s Master’s thesis extends and synthesizes decades of research on the hydrogeology of the Barton Springs segment to produce a multi-model evaluation of aquifer response to changing recharge. Mike combined field observations, spatial data, recharge interpretations by other scientists, working knowledge from the BSEACD staff, and groundwater availability models to test scientific hypotheses and integrate information so that outputs can be used to inform policy and management of the aquifer. 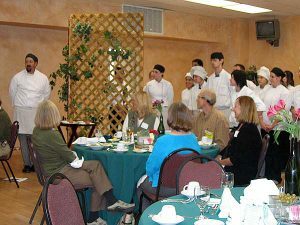 The Bowie High School Culinary Arts program hosted the 2009 awards ceremony in November 2009. 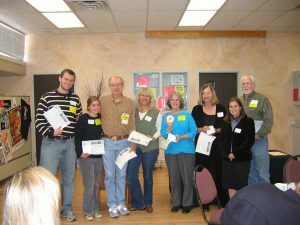 Read about the winners of the 2008 Conservation Awards. Read about the winners of the 2007 Conservation Awards. Read about the winners of the 2006 Conservation Awards. Read about the winners of the 2005 Conservation Awards. Read about the winners of the 2004 Conservation Awards.